We make Jowar Roti (Jolada Rotti) using Jowar flour. 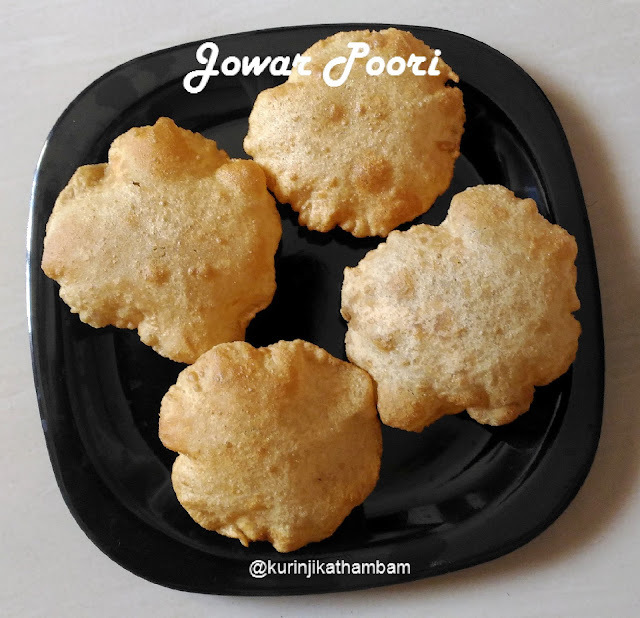 Jowar Poori is contribution with my earlier millet poori recipes. The key difference between Jowar Poori and others is that not many could find the difference between Jowar Poori and Wheat Poori. 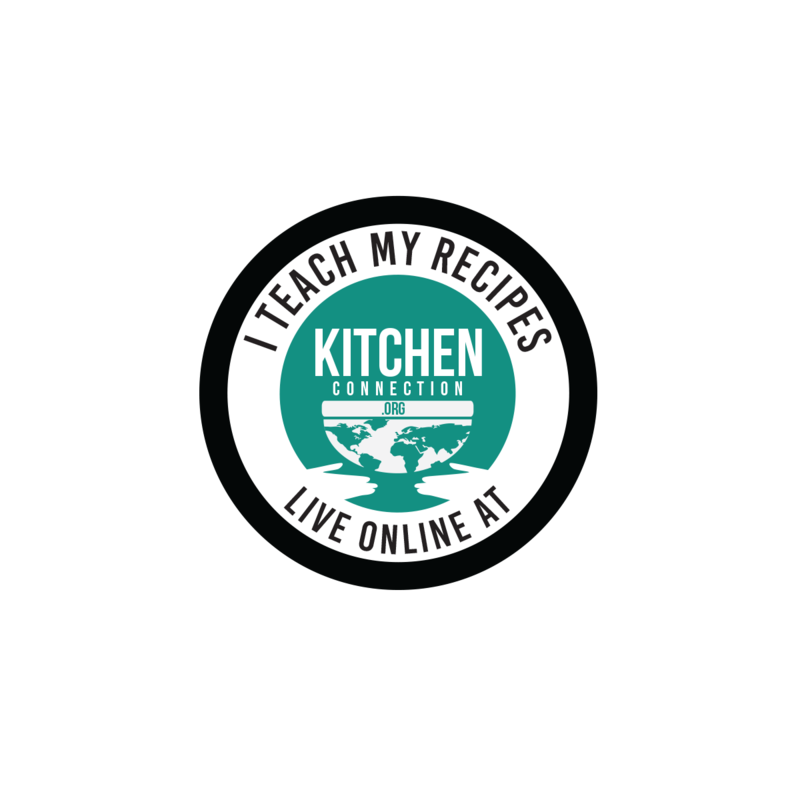 Preparation Time: 10 mins | Cooking Time: 10 mins | Yields: 10 nos. 1. In a wide bowl, add wheat flour, jowar flour and salt; mix them well. Add water little by little and knead into soft and tight dough. Keep it aside for 5 mins. 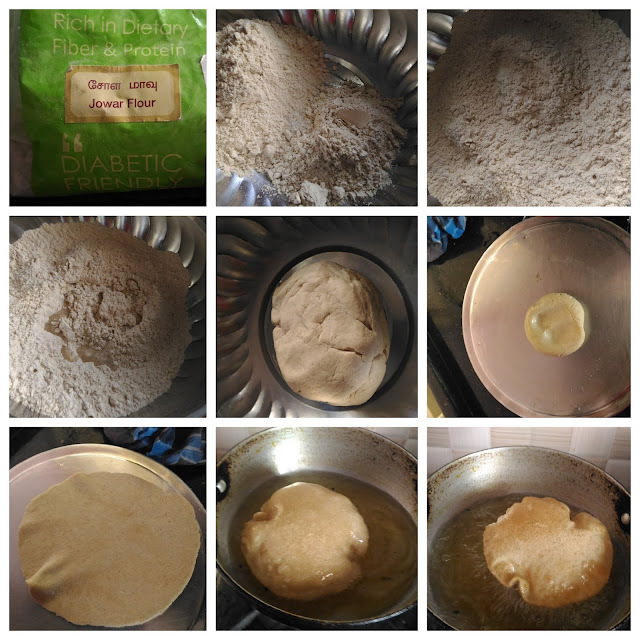 I have never tried these pooris with millets. They look nice and less oily too.